The Ugly side of Minimum Wage Hikes | Business Forward! It was just a matter of time until the sludge of the incompetent do-gooders dripped back to their various states. You know who I’m talking about. Massachusetts, New York, California, Mexico. 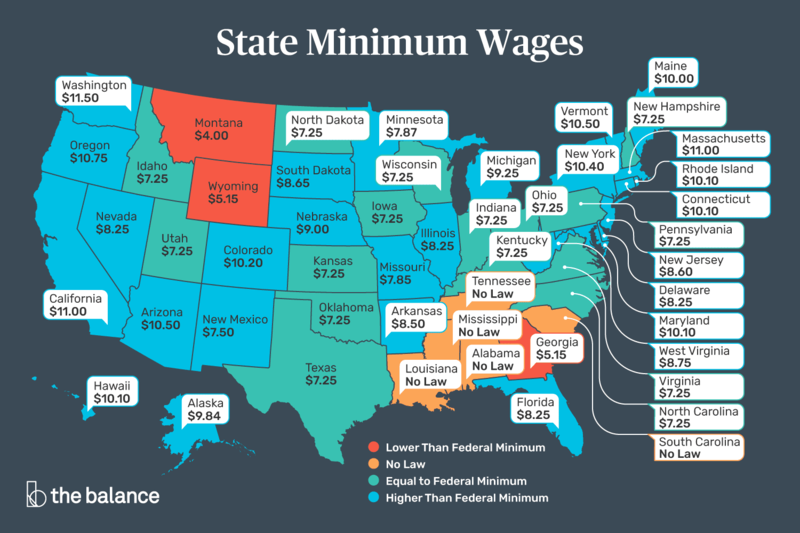 My bad, sovereign Mexico is not a state, yet, albeit their wandering citizens too may benefit from the nastier side of minimum wage rate hikes. And what exactly do we mean by the ugly side? After all, isn’t giving a “human being,” in the vernacular of AOC, an increase in pay far better than bringing Amazon to NYC? Well, maybe not. 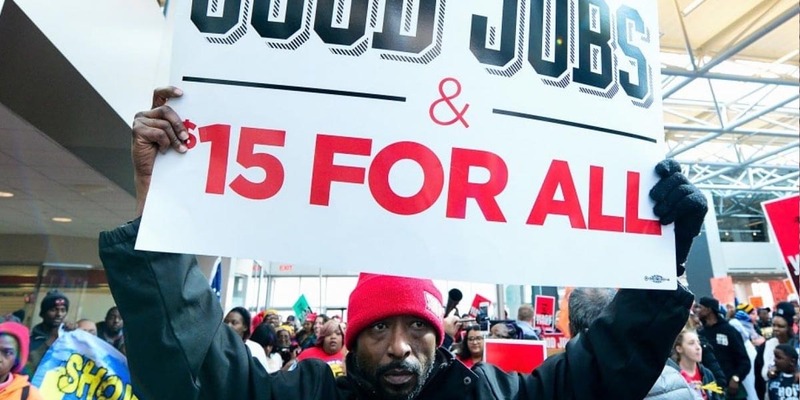 What one sees in those states mentioned and other cities around the nation that have mandated a minimum wage of $15 an hour, is a rise in the closure of coffee shops and restaurants, as well as the predicted drop in hours worked and an increase in job cuts. Not exactly how it was planned. But the economics behind the minimum wage mean nothing to the lemmings who truly believe they have the best interests of the modern proletariat at heart. One must figuratively keep the boot on the neck of those trying to defeat capitalism, who are at best amateur economists, and at worst, harbingers of societal doom. The buses full of crazed Californians are heading to Montana as we speak to lobby to increase Montana’s minimum wage to $4.25. While to the best of my knowledge, I don’t believe that Bernie Sanders, Elizabeth Warren or AOC have ever run as much as a hot dog cart in their city, but they are experts on telling you how to run your business. They and others have released a tsunami of deleterious results to small businesses who are already buckling to higher rents and ever-increasing healthcare costs. Case in point. The tightrope that some small businesses walk on hinges on having adequate cash flow, and wages are usually the largest percent of an income statement. That’s what happened to once iconic Boston restaurant Durgin-Park in Faneuil Hall. It closed the doors after two centuries in operation, as it couldn’t cope with wage and healthcare premium hikes. This is the case, the ugly side, where the do-gooders have managed to increase the pay of the worker to the point where it can no longer be profitable for the business, and as such the business goes away. That is not capitalism. My guess is Warren won’t campaign in Faneuil Hall. A less draconian example is forcing businesses to cut employee hours or lay-off employees to cope with the higher payroll. “First, we have to cut overtime,” says Chris Smith, a franchise owner in Long Island. “Next, we have to lay people off, if we want to stay in business.” Let’s go to the epicenter of this disaster, New York City. But first remember, this wound was self-inflicted. The so-called “Fight for $15,” is alive and well in NYC. On December 31, 2019, NYC raised the minimum wage to $15, a 15% increase from the 2018 level, and a 34% hike from 2017. Staggering. Close to three-quarters of restaurants in New York City have cut labor input since the minimum wage was raised to $15 per hour, according to a survey by The NYC Hospitality Alliance. You probably didn’t read that stat in the New York Times. If you don’t believe that study, then surely you will believe those put forth by your fellow travelers at the Bureau of Labor Statistics (BLS). The BLS numbers show that New York City full service restaurant employment has gone from an 8% growth back in 2012 to a -2% growth in the last two years. That can’t be right. Somehow that must be Trump’s fault. NYC is the canary in the coal mine for the rest of the nation who goes down that path.